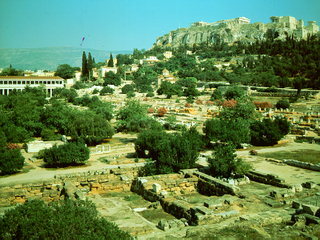 The Agora was the heart of ancient Athens, the focus of political, commercial, administrative and social activity, the religious and cultural centre, and the seat of justice. The site was occupied without interruption in all periods of the city's history. It was used as a residential and burial area as early as the Late Neolithic period (3000 B.C.). 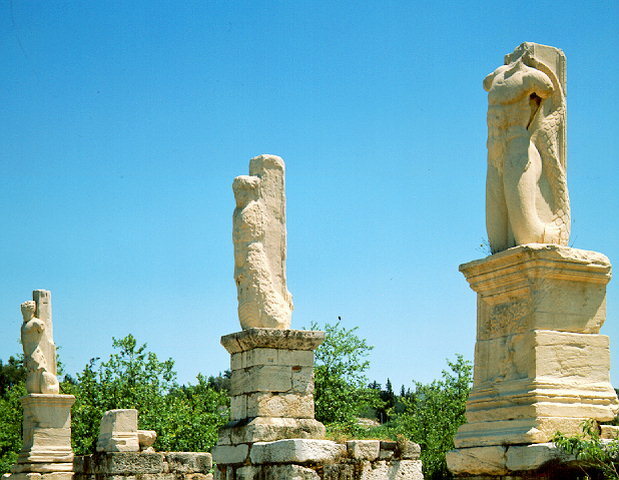 Early in the 6th century, in the time of Solon, the Agora became a public area. After a series of repairs and remodellings, it reached its final rectangular form in the 2nd century B.C. Extensive building activity occured after the serious damage made by the Persians in 480/79 B.C., by the Romans in 89 B.C. and by the Herulae in A.D. 267 while, after the Slavic invasion in A.D. 580, It was gradually abandoned. From the Byzantine period until after 1834, when Athens became the capital of the independent Greek state, the Agora was again developed as a residential area.